I've been watching videos on youtube about people that play the saxophone. I am so amazed how they could make that thing work without a hassle. I couldn't imagine how much air they have to exert to play music and never seem to get tired in doing so. I had already told you before that when I was a kid, I tried playing one of the instruments of a band member here in our area. I am still unsure what kind of instrument it was---all I remember is that no matter how hard I blow air into it, it wouldn't even budge. lols. I wonder if it's just as hard playing with a saxophone? 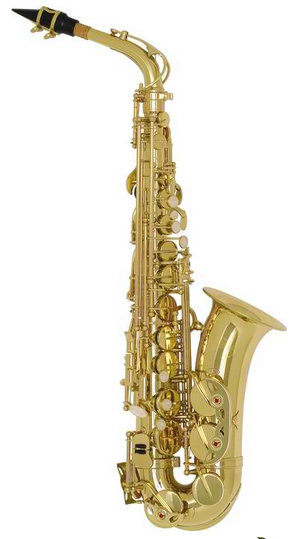 I've seen that there's an alto saxaphone at guitar center that starters could use with ease. Do you know how to play this instrument? Share your thoughts with us in the comment box below!